Low cost Mechanical Gauges (LG & DG) and our Digital Gauges (DFX2, DFE2 & DFS2) can be used on Force Stands listed on this page. Options include Manually Operated Machines (MT150 & MT500) and Motorized Versions (LTCM-100 & LTCM-500). Also please view the CS2-225 and CS2-1000 machines for the Chatillon full featured, single column materials testing machines. The CS2 takes the testing to another level. Even more advanced, the LS1 and LS5 are our top single column models. Please Contact Us for professional application assistance. Register Here for a 30-day Free Trial! 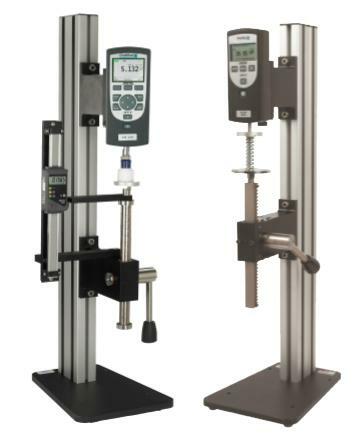 The LTCM-100 is a low-cost Test Stand for use with DFX2, DFE2 and DFS2 Series Force Gauges. The maximum force is 110 lbs (500N). The speed is selected by a rotary knob and the LED Display confirms the set speed, up to 20 inches per minute. Two knobs are adjusted on a rod to make limits of travel. The machine will run from one limit (upper or lower) until it contacts the opposite limit, where the machine will stop. The switch is then activated in the opposite direction until the machine returns to the original limit. This simple operation is effective for making tensile "break tests" or compressive "rupture tests". The travel limit is 15.5" or 394mm. A splinter shield and foot switch are available as non-standard accessories. The LTCM-500 is a low-cost Test Stand for use with DFX2, DFE2 and DFS2 Series Force Gauges. The maximum force is 550 lbs. (2.5 KN). This higher capacity LTCM has 29 inches of travel (750 mm), 4 more inches than the LTCM-100. 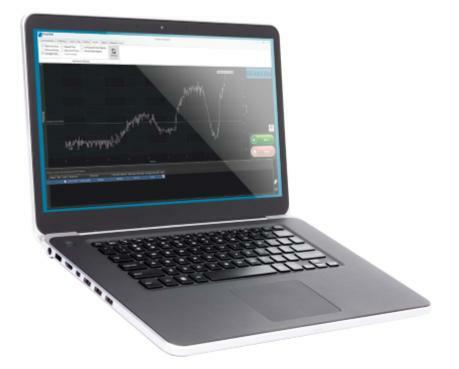 Our manual test stands are easy-to-use solutions for force measurement applications. The manual test stands can be used with the Chatillon force gauges. 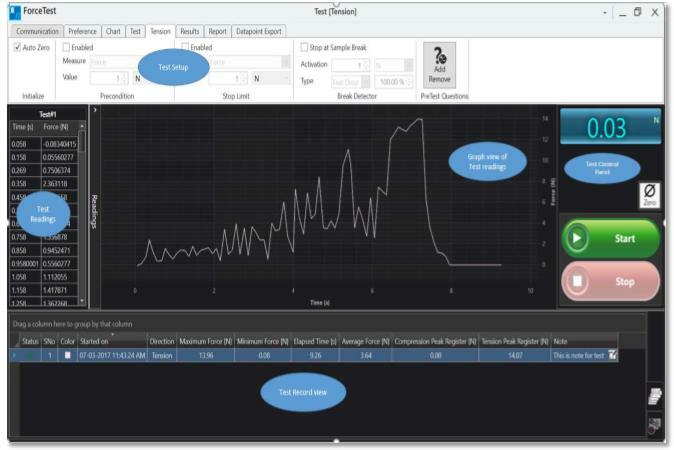 Please note: This option should not be used where variation of test speed may present a problem. See also Force Test Software. The motorized versions, LTCM-100 and LTCM-500 are recommended for constant rate extension applications with force gauges. 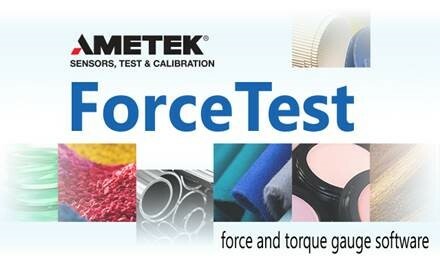 Please contact our office to learn more about testing of materials and components of all kinds. 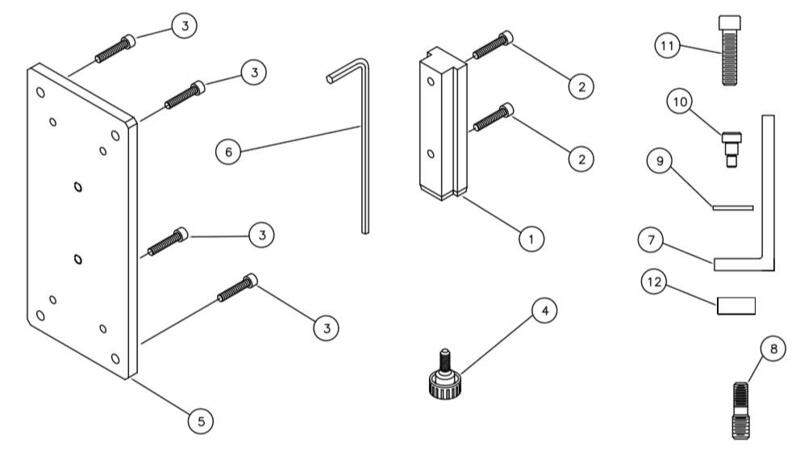 When ordering a force gauge mounting kit the parts shown in FIGURE 1 will be supplied as indicated. For DFE2/DFS2/DFX2 Series Gauges use SPK-MT-0001 mounting kit from 0 to 150 LBF testing and use SPK-MT-0004 mounting kit for 150 to 500 LBF testing.